New York Bridal Market (also known as Bridal Fashion week) takes place every spring and fall in the Big Apple. Last year’s market was an amazing experience, as we saw hundreds of wedding dresses and oftentimes got to meet the designers themselves! Since we couldn’t attend the Spring 2017 shows, we asked Sarasota wedding dress shop Blush Bridal Sarasota to share their favorite looks straight from the runways of New York. This past Spring, designers from all over the world traveled to New York City to showcase their stunning, latest collections to buyers, fashion journalists and bridal enthusiasts as they unveiled their latest collection for Bridal Fashion Week. Last season, we started to see a flower power trend, as designers incorporated 3D floral designs and appliques into their gowns. This season, the floral theme continued along with fresh pops of color and rich fabrics to help create new dimension and depth. Another favorite theme seen on most all runways, was the addition of separates. Designers filled the need for a bride to seek out a second gown by offering overskirts to sleek, slim fitting gowns, allowing for two ultra glamorous looks for the big day. 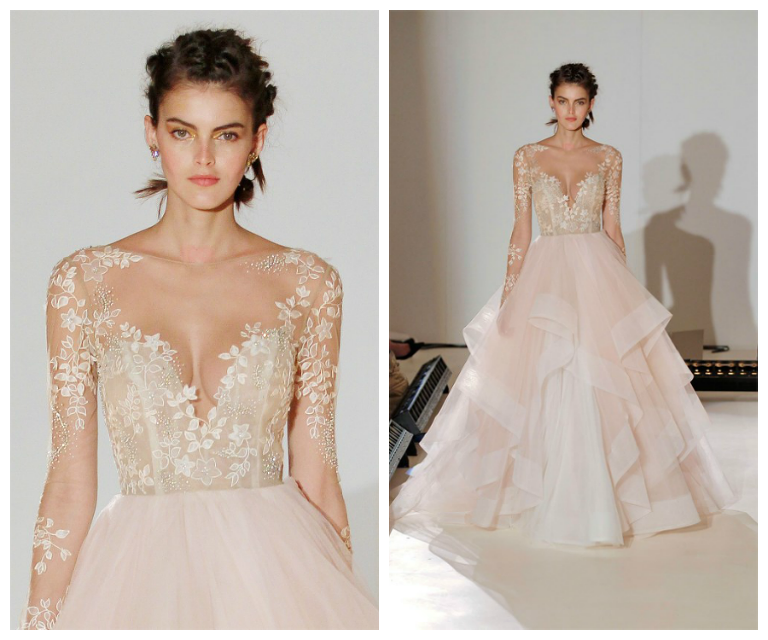 “Song” by Ines Di Santo features a sleeveless, plunging neckline with an embroidered bodice that hits at the natural waist and soft volume skirt. “Lorelai” by Hayley Paige features a stunning hand embroidered floral bodice with long sleeves and a tiered ball gown skirt with tulle and horse hair. 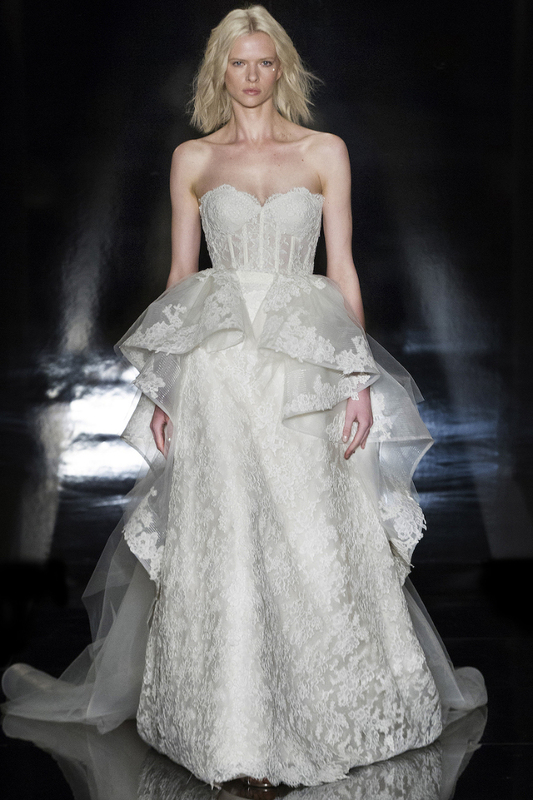 “Adrianna” by Reem Acra with the gorgeous detachable “Paulina” overskirt. This dress incorporates our love of three-dimensional floral appliques and the option to create two different looks for your wedding day. Adrianna is a strapless, lace, sweetheart gown in a classic A-line silhouette. Fondren Watts is the owner of Blush Bridal Sarasota located in the “bridal district” of downtown Sarasota, on First Street. Born and raised in Sarasota, Fondren couldn’t have imagined a better place to lay the foundation to start a family and grow her business. 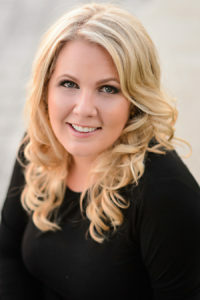 After spending seven years in the wedding industry working and training under the top professionals in the area, as well as managing her own wedding planning company, she felt it was time to pursue her dream and love of bridal fashion and opened Blush Bridal Sarasota. Blush Bridal is a couture bridal boutique specializing in providing luxury service for brides, in a boutique atmosphere. Blush prides itself on bringing current bridal trends and designers to today’s modern bride. Fondren’s roles outside of her boutique, includes being a happily married wife and proud mom to her two- year-old daughter.